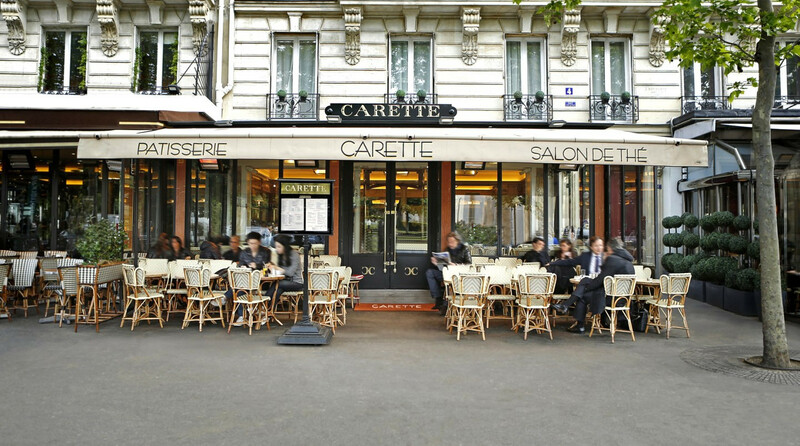 A Parisian institution located on the Place du Trocadero since 1927, Carette, with its modernized twenties atmosphere, is a tea room with a certain distinction. However, the weight of tradition and history do not feel, even if the portrait of the illustrious boss, Madeleine Carette, watches over the house. Because when the service and products are good, we touch the timeless truth. And it is manifested with a pressed orange and some macaroons - including a perfect salted butter caramel - on the terrace when tea time arrives and the sun is slowly heating the bitumen. But Carette is not just a pastry / tea room, you can also have a nice salad (from 23.5 €), a toasted club or scrambled eggs (to from 13 €) with multiple accompaniments and perfectly mastered. On weekends, family brunch (30 €) for which there are often people. It is not for nothing that the team opened a second address, Place des Vosges, which also knows a great success.